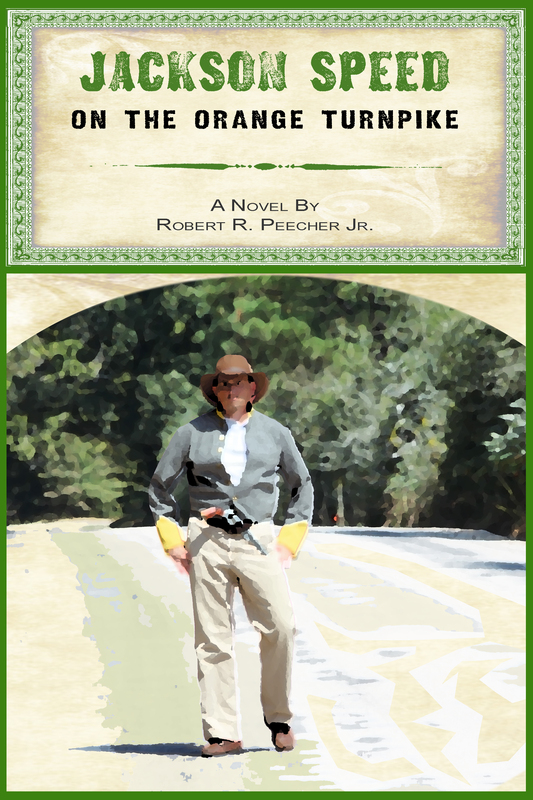 Jackson Speed on the Orange Turnpike is free to download for Kindle and Kindle apps today and tomorrow. While it would be nice if I could sell hundreds or thousands of books, the reality of self-publishing is that getting my books in the hands of potential readers is a massive challenge. I’ve had success with previous “free days,” and I’m hoping to once again send hundreds of copies of a Jackson Speed book to new readers. 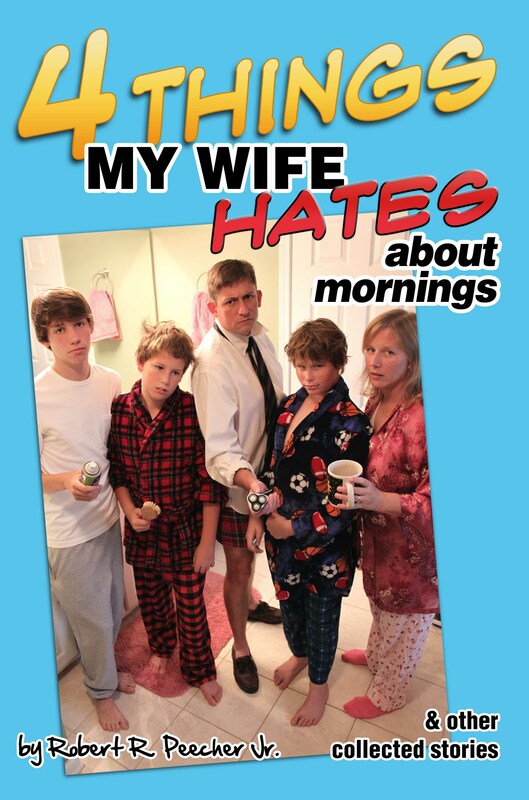 So if you’re interested in history and like a good joke, download a copy of the book. Check it out and let me know what you think! I think most people who write for a living will tell you that as time goes by they become less enthralled with works they might have initially been very excited about. Whether it’s news stories or humor columns or political editorials or novels, any time I look back at my work I inevitably cringe. “I can’t believe I wrote that,” I’ll think. “I could have done so much better,” I’ll mutter to myself. Lately I’ve given some serious consideration to completely rewriting the first Jackson Speed book. I probably won’t. But I might. When you’re a journalist and you make your living writing stories on a daily or weekly basis, you don’t have time to cringe every time you write something, and you certainly don’t have the opportunity to go back and rewrite. You learn quickly to accept that it’s never as good as you wanted it to be and you just keep moving forward. With the first Jackson Speed book, I was like a man possessed. I loved the idea of the character, and I didn’t want Jackson Speed to go the way every other attempt at fiction writing had gone for me: Start and never finish. I’ve had other ideas before. I’ve worked for days and weeks on other novels, but eventually I grew bored with the story and quit. But when I first had the idea for Ol’ Speedy, I really wanted to write and finish the Jackson Speed series. So I was frantic about it. I wrote almost non-stop for 28 days to finish the novel. I skipped meals, wrote at work and stayed up all hours. And when I finished it, I sent it to my editor, India Powell and Lighswitch Communications, and I was done with it. The second and third books did not go at quite the same pace. I slowed down, took my time and, I think, produced a better product. I’ve made no secret about the fact that some of the inspiration for Jackson Speed comes from George MacDonald Fraser’s Harry Flashman. I also don’t claim that Jackson Speed is the next Harry Flashman. George MacDonald Fraser was a master, and I’m just having fun writing. But there are similarities between the two that can’t be avoided: Flashman and Speed are both cowards masquerading as heroes; they’re both womanizers; they’re both brutally selfish; they’re both bullies. 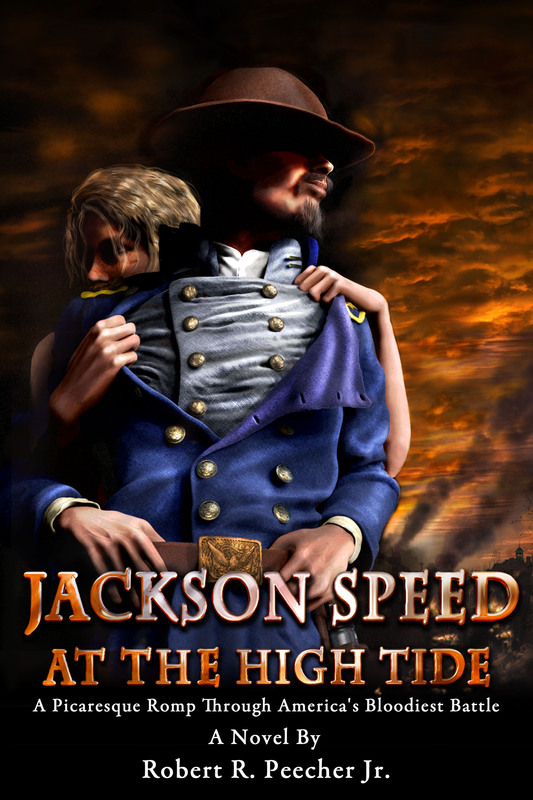 At the same time, when I wrote the first Jackson Speed novel I wanted to make sure I was not writing about Harry Flashman – which is a hard thing to do because Flashman is such an overwhelming character if he’s in your mind – so I was deliberate in trying to make the characters different. I may have even been too focused on Flashman and not focused enough on Speed. But somewhere early in the second book, Harry Flashman left my mind. As I wrote, Jackson Speed began to develop his own voice. Instead of thinking about Speed as a character, I really started to hear his voice in my mind. It started to become more natural to write Jackson Speed. While retaining all of those qualities borrowed from Flashman that make Speed a character I enjoy writing about, I finally felt in the second book that I had broken free of forcing Speed to not be Flashman – Speed’s voice was clear in my mind. He’d truly become his own character. I told India that I felt like I hit my stride, especially in the last chapter of Blood Tubs, and I kept with it through all of the Orange Turnpike. As a writer with 20 years of experience, I know it won’t be long before I start thinking about specific passages or chapters in this third book and start thinking that I should have written something differently. It won’t be long, I suspect, before I’m standing in front of a crowd reading from the book and I cringe at a phrase or a word choice or maybe an entire paragraph. But for now, I am very happy with Jackson Speed on the Orange Turnpike, and I’m excited for Speedy’s fans to read the book! Last spring I was diligently working on the Jackson Speed books, churning out pages like a Civil War history machine. Devil Dan Sickles (left) … Something seems to be missing. My plan was to finish in the summer of 2013 the third and fourth Speed books. The third book sees Speed into the battle of Chancellorsville, and the fourth book answers how it was that Speed fought for both the Confederacy and the Union at Gettysburg, and how he managed to win the Medal of Honor from Lincoln. Another great Civil War mystery is also solved in the fourth book, and I am certain there are historians everywhere who are salivating with anticipation over the release of this book so that they can, for the first time, have a definitive explanation for why Dan Sickles sent the Third Corps out into the Peach Orchard on the second day of Gettysburg. Anyone familiar with the battle will know that Sickles’ Third Corps of the Army of the Potomac woke on the morning of the second day at Gettysburg in a strong position on Cemetery Ridge. General George Meades’ lines stretched in the famous “fish hook” from Culp’s Hill around Cemetery Hill and down Cemetery Ridge to the Round Tops. It was good ground that Meade held. Confederate Gen. James “Old Peter” Longstreet knew it was good ground. He advised Lee not to attack the Union’s defensive position but to skirt south of the Army of the Potomac, find a good defensive position of his own between Meade and Washington D.C., and let the Federals crash upon the Confederate shores (as they had at Fredericksburg eight months earlier). Lee, of course, rejected Longstreet’s advice, and the result was one of the most famous charges of all history. Charges (like Last Stands) are usually famous because of how disastrous they were. The Charge of the Light Brigade. The Charge of Krojanty. Pickett’s Charge. Inexplicably, on the morning of the second day of the battle, Sickles decided to warp the fish hook. He pushed Berdan’s sharpshooters into Pitzer’s Woods where they encountered Confederates. Then, around noon on the second day, Sickles pushed the entire Third Corps forward into the Peach Orchard. So many of those who witnessed it wrote later about the grand style in which the Third Corps of the Army of the Potomac marched forward: Lined up in columns; Flags unfurled; Bayonets gleaming in the sunshine. General Win Hancock would be my pick for the best Union general on the field on the second day of Gettysburg. Commanding the Second Corps of the Army of the Potomac and positioned just to Sickles’ north on Cemetery Ridge, Hancock had a good view of the Third Corps’ march in the Peach Orchard. Hancock was standing with General John Caldwell, who remarked how magnificent the Third Corps looked as it stepped off Cemetery Ridge in grand style and went forward to the Peach Orchard. Robert E. Lee’s attack plan called for an echelon attack beginning on his right flank and moving left, so the first Confederate troops to set out came out of Pitzer’s Woods and attacked into the Devil’s Den and the Peach Orchard and along the Emmittsburg Road where Sickles had moved the Third Corps. The Third Corps was destroyed. Sickles, who was a politician and not a general, personally paid for his folly. He lost his leg at Gettysburg when a cannonball shattered it. He was stretchered from the field. More tragically, the Third Corps also paid for his folly. It was reduced to such an extent that it was no longer recognized at Gettysburg as a combat unit. Reserves had to be pushed up to fill the void on Cemetery Ridge – the original position held by the Third Corps. Hancock had to order troops into a suicide bayonet charge to hold the Rebels off long enough to get reinforcements up to Cemetery Ridge, so I suppose those poor Yankees paid for Sickles’ folly, too. Because he was a politician, Dan Sickles was able to secure for himself the Medal of Honor. In my studies of military history, I have determined that politicians did not always make excellent generals, but they were remarkably successful in spinning their failures into chest decorations. What’s puzzled historians over the years is this: Why? 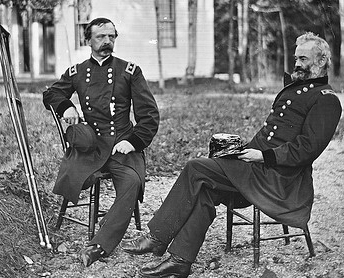 Why did Dan Sickles give up a good defensible position? Cemetery Ridge was a position his enemy (at least in the case of Longstreet) did not want to attack. Go to the field yourself. Stand on Seminary Ridge and look at Cemetery Ridge. You don’t need to be a West Point graduate. Common sense will tell you that you hold that ridge. The answer from Sickles and the one most historians have accepted is that the Peach Orchard presented a small rise in the low ground between the Union and Confederacy. Sickles claimed that the Peach Orchard appeared to him to be a position from which the Confederacy could establish artillery and threaten the Union lines. This is, of course, absurd nonsense! Now, 150 years later, the truth is poised to be revealed. Jackson Speed, in the upcoming book “Jackson Speed at the High Tide” (the fourth book in the Jackson Speed memoirs), reveals the true reason why Sickles sent the Third Corps forward to its destruction. 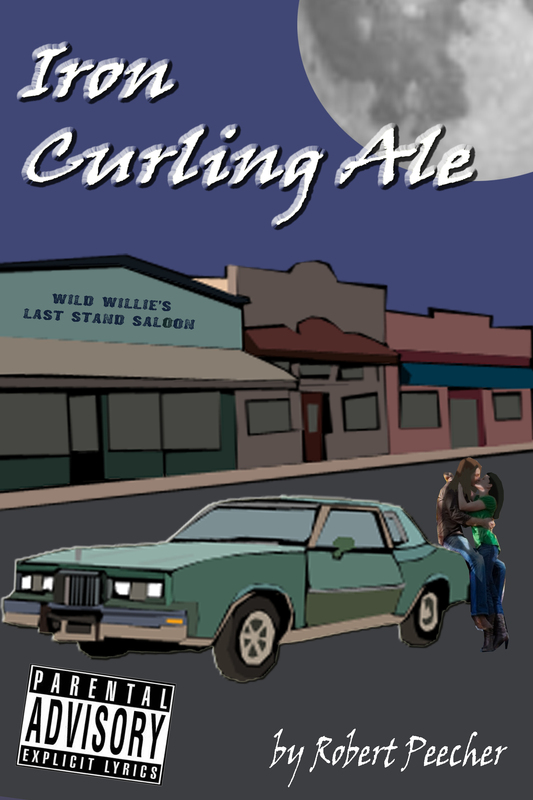 But, as I said from the outset, my plans to release the third and fourth books in the Jackson Speed series got delayed considerably. Editing memoirs (or writing fiction, whatever) takes time, and sometimes you think you’ve got a chapter edited (or written, whatever) and you find you have to go back and re-edit it (or write it, whatever). So I’ve been delayed a bit. 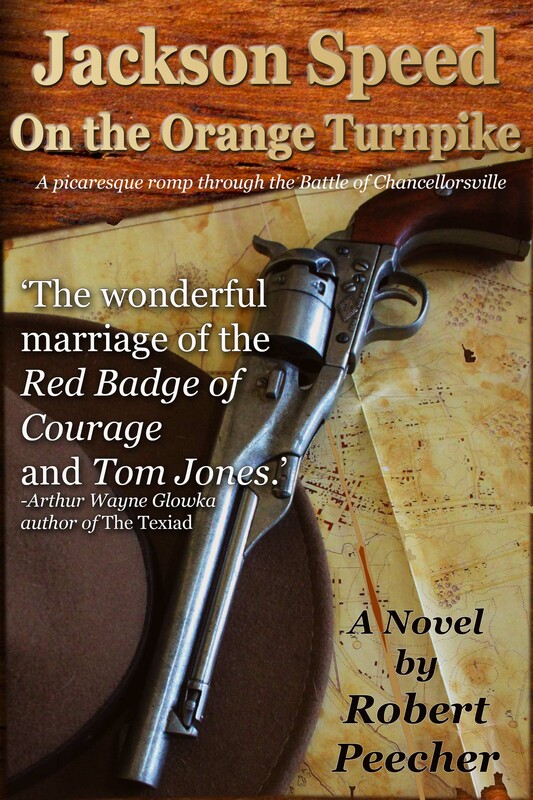 The third book, Jackson Speed on the Orange Turnpike, should be out in a matter of just a few weeks now. 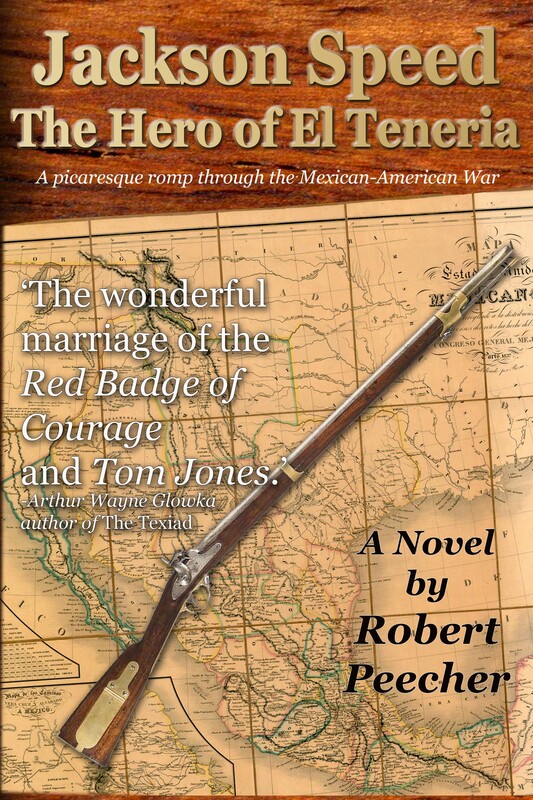 The fourth book – the one where Sickles is revealed to have been just as nuts at Gettysburg as he was when he ran into Francis Scott Key’s son in Washington D.C. – should follow in a few months. If you’ve been eagerly anticipating the arrival of the next Speed book and thought you would have it by now, let me say two things: 1. I’m sorry. I’m working on it! I promise it’s coming soon. And 2. Jackson Speed on the Orange Turnpike will be better for the wait. I promise.